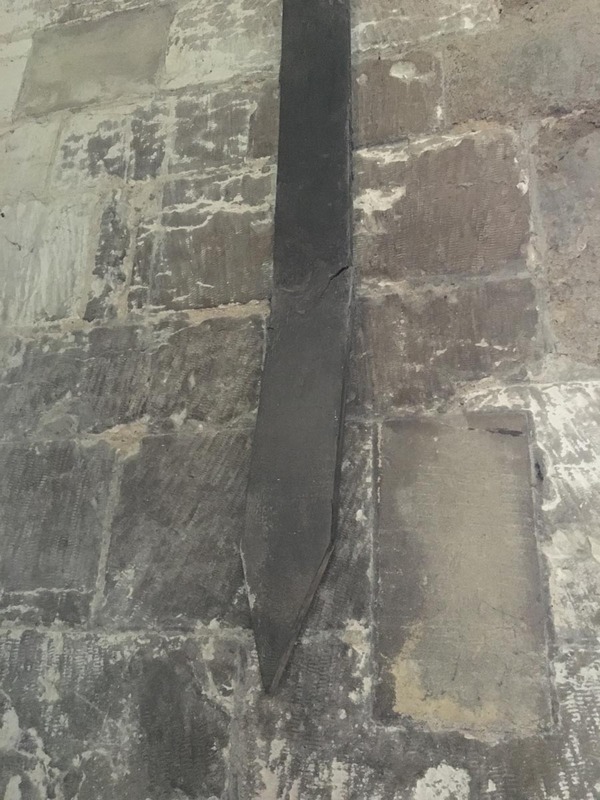 Shaft Height: To high to measure. 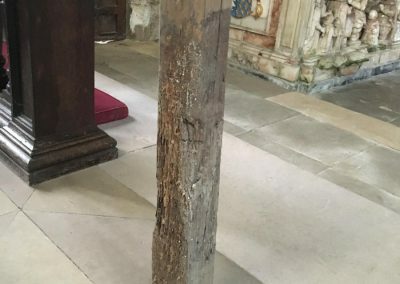 Evidence of use in field: Earth marking, staining, crack on stained lower portion where the cross has been inserted into the ground. 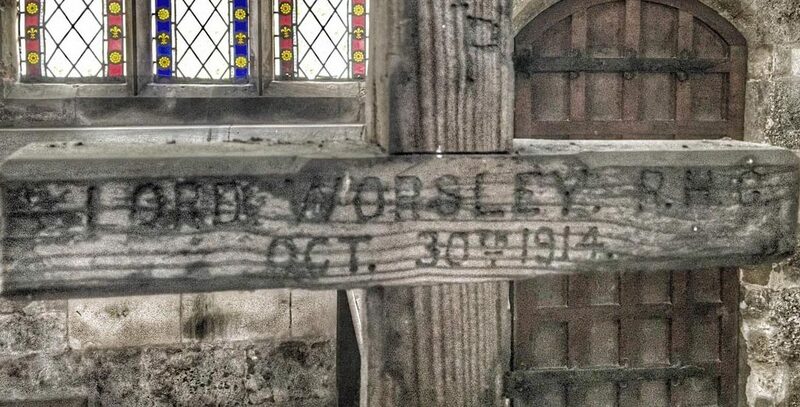 November and in January 1915 it was announced officially that he had been killed. 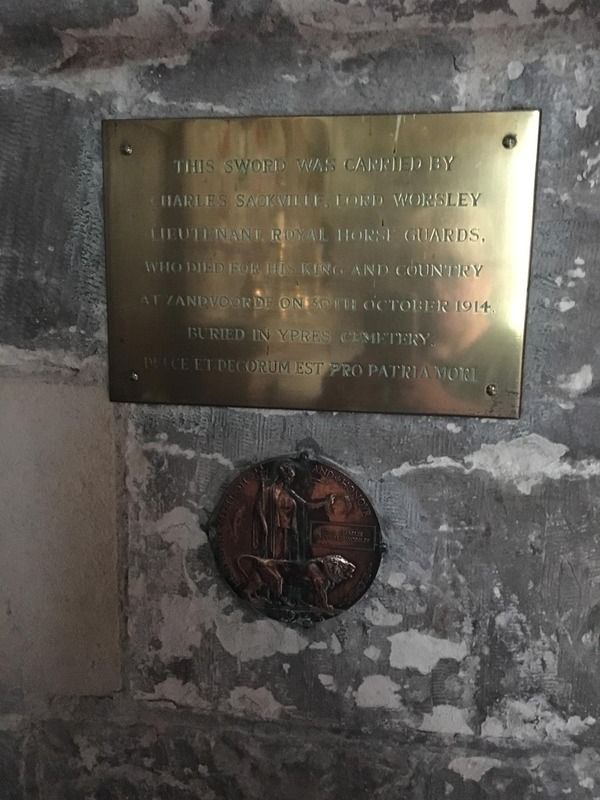 He was 27 years old. 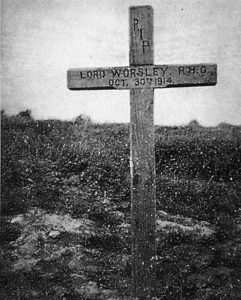 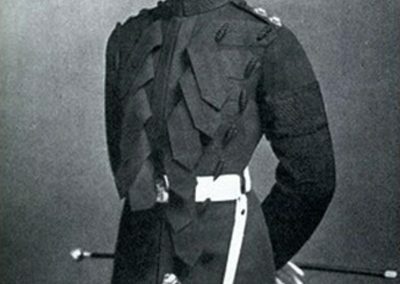 Worsley’s body had been buried by the Germans, marked with a rough, wooden marker cross and the British Authorities were notified of the location of his grave via diplomatic channels. 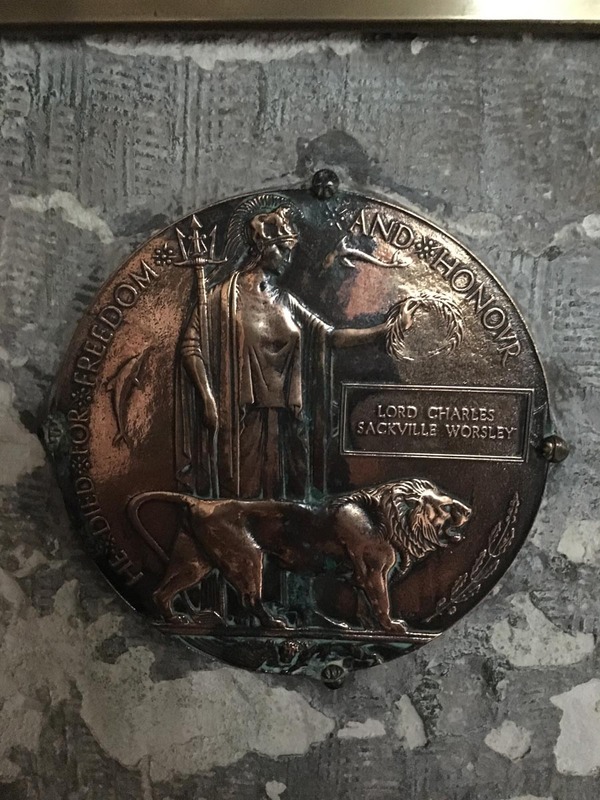 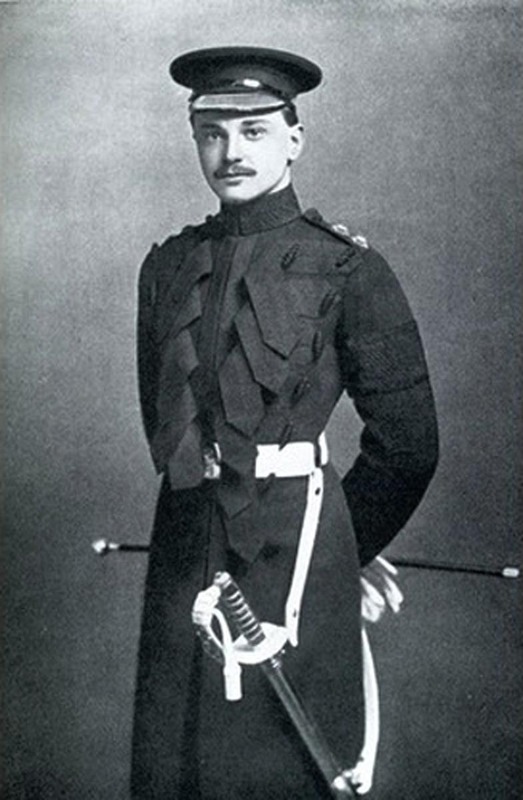 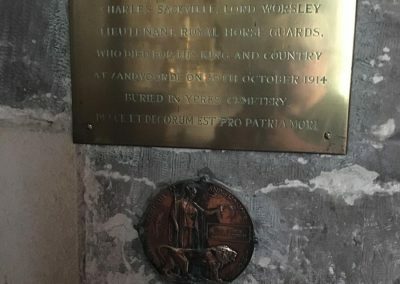 A family friend, Colonel A.W James M.C, had been given a copy of the burial plan by Lord Worsley’s mother and he managed to locate the burial site in December 1918. 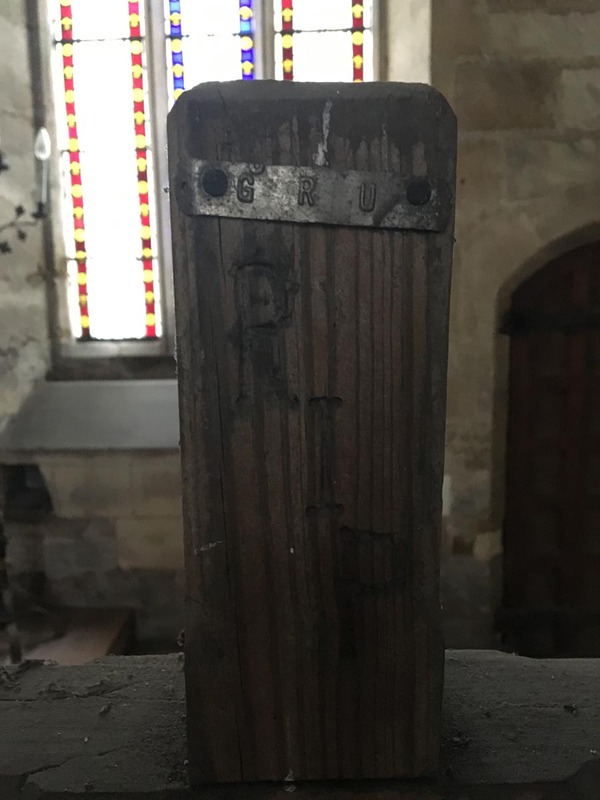 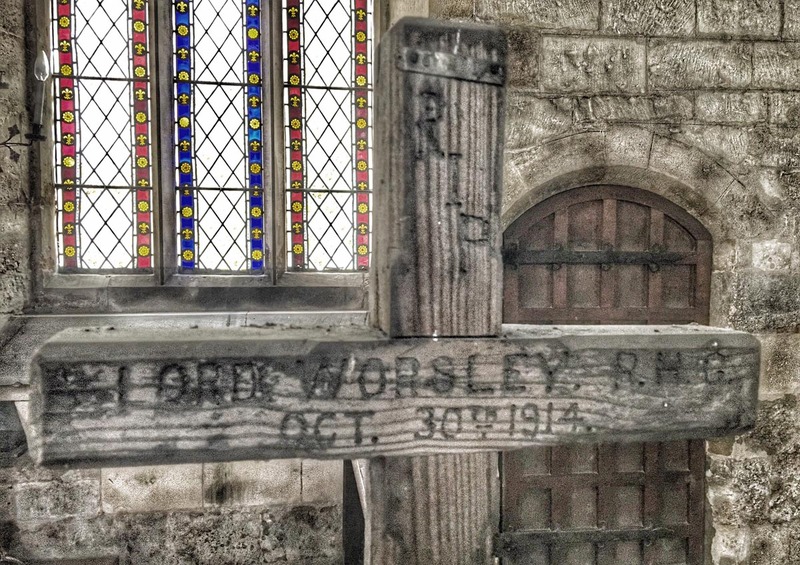 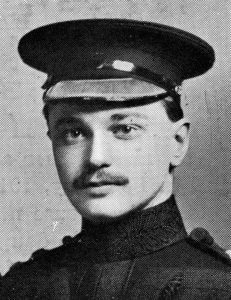 Colonel James marked the spot with stone blocks and upon returning to the village where he was staying commissioned a simple, wooden cross with inscribed with the text ‘R.I.P Lord Worsley R.H.G Oct 30th 1914’. 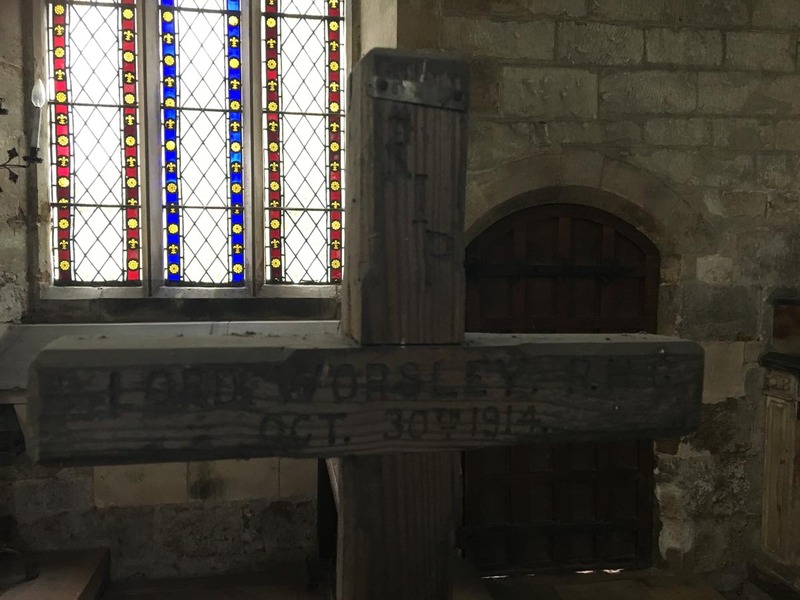 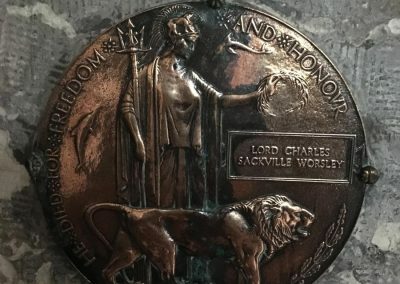 Colonel James made an additional visit to the gravesite in January 1919 with Sackville Pelham, Lord Worsley’s brother, where they placed the newly made cross and removed the original grave marker which hangs above Lord Worsley’s sword and memorial plaque in All Saints, Brocklesby. 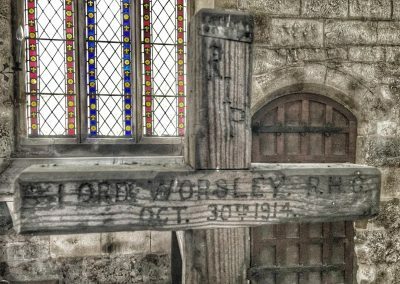 Lord Worsley’s body was exhumed in 1921 and reburied in Ypres at the Town Cemetery Military extension, grave reference no: II.D.4 refers. 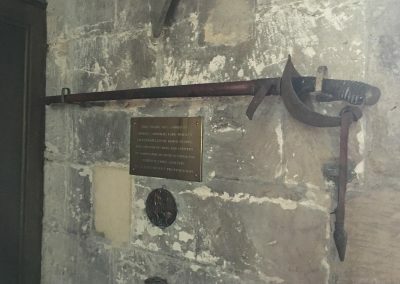 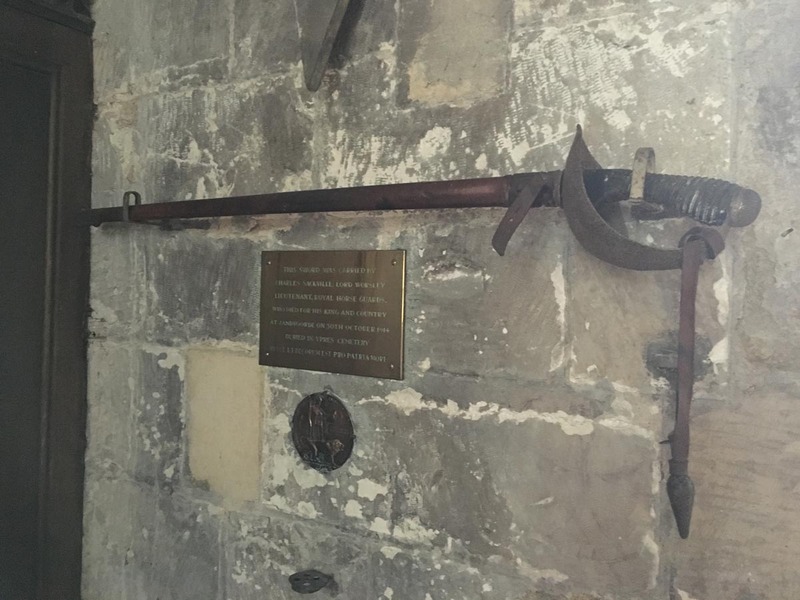 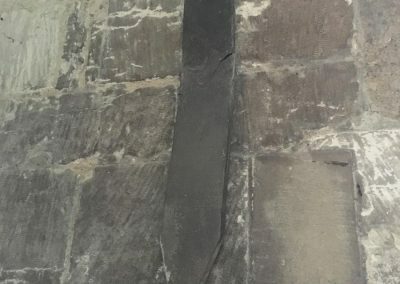 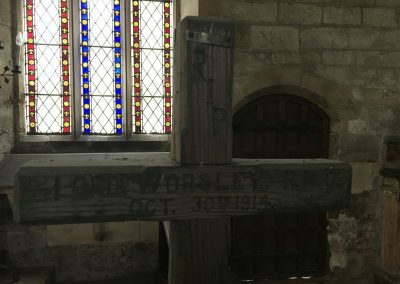 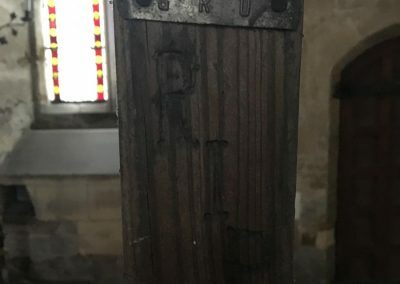 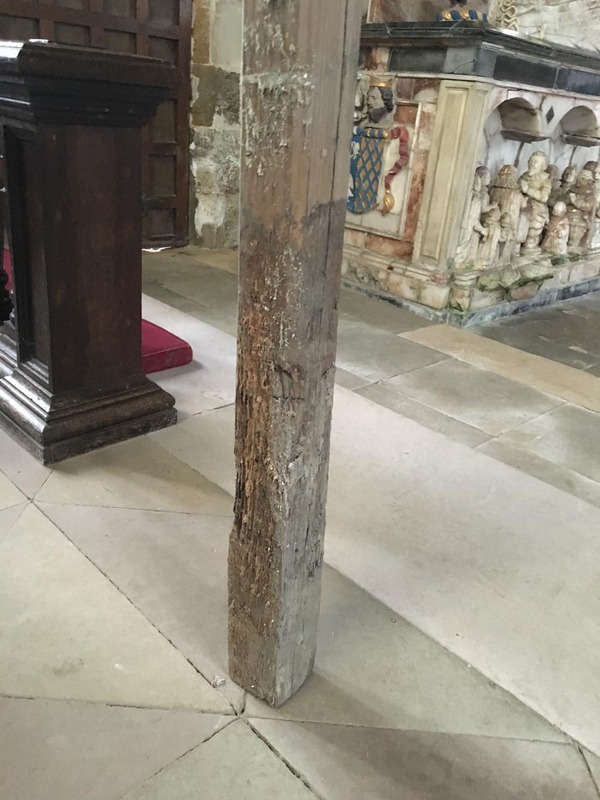 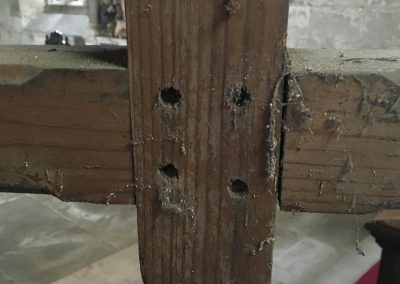 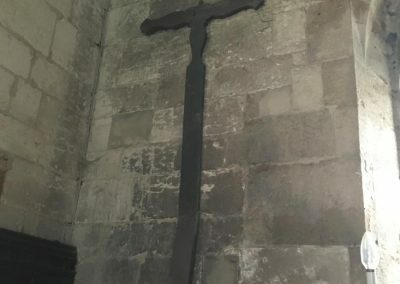 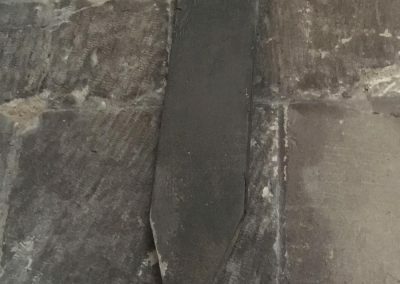 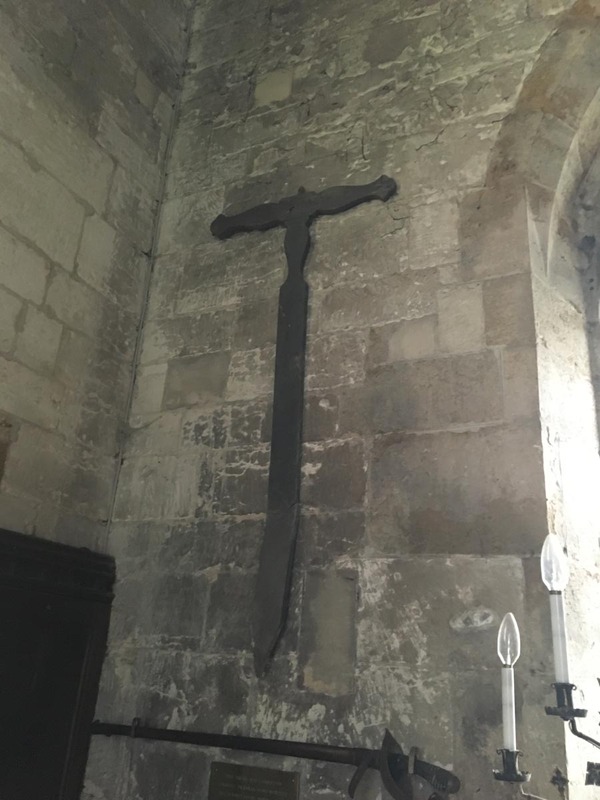 The wooden cross commissioned by Colonel James was returned to the family in 1923 and now hangs on the opposite wall to the original German marker and Lord Worsley’s sword. 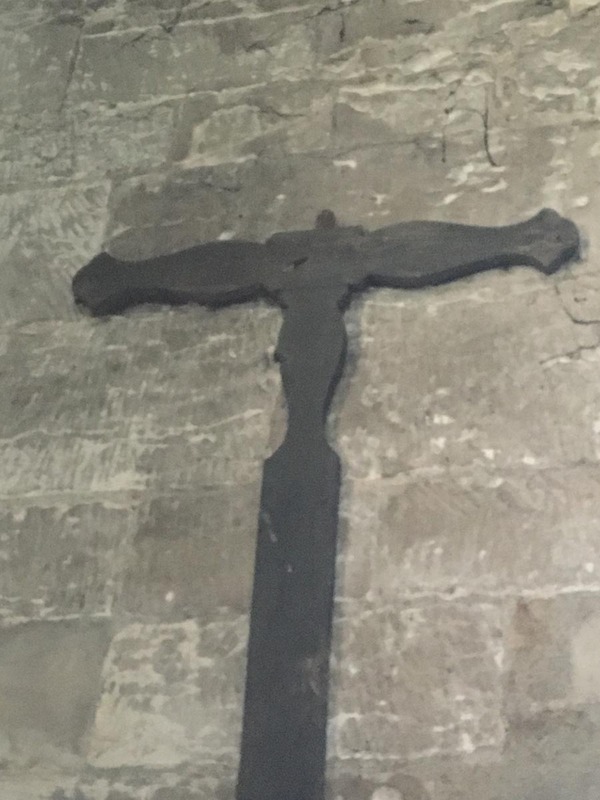 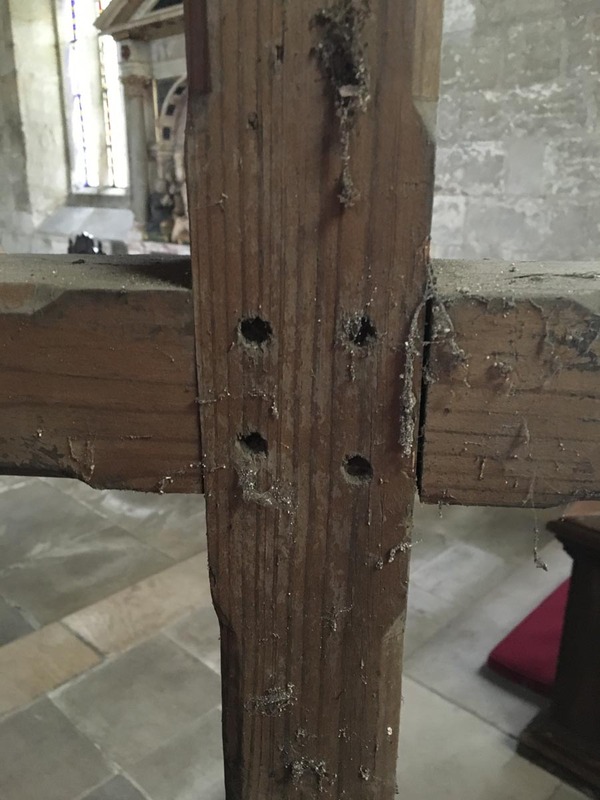 I measured the total height of this cross as 1525 mm. 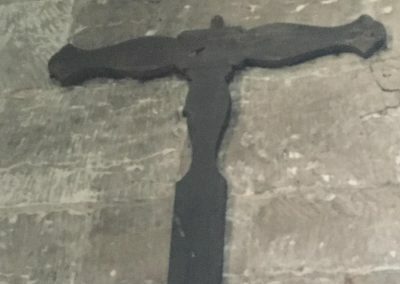 It is on the north wall of the chancel opposite the altar. 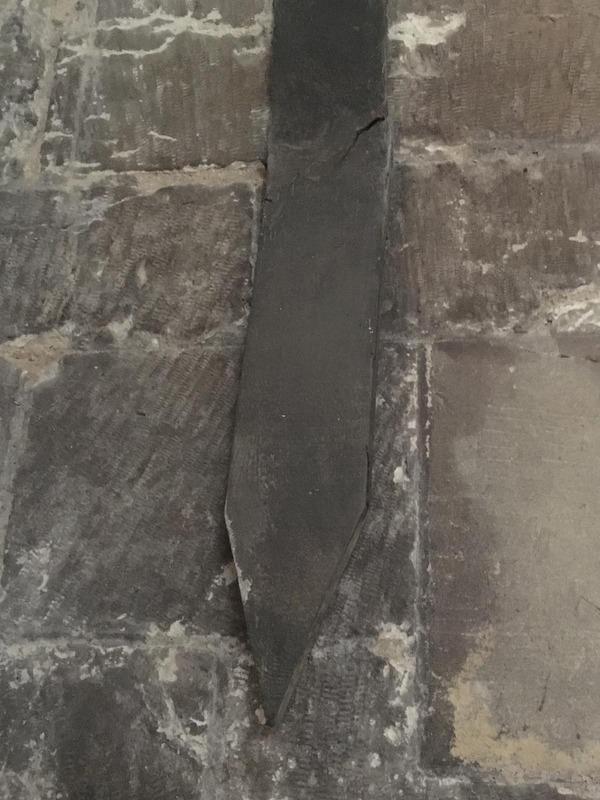 The base is 1,220 mm above floor level.